Michael Slutsky started off the European International Championship at 0-2, then won his final 7 rounds to advance to Day 2 as the 21st seed. 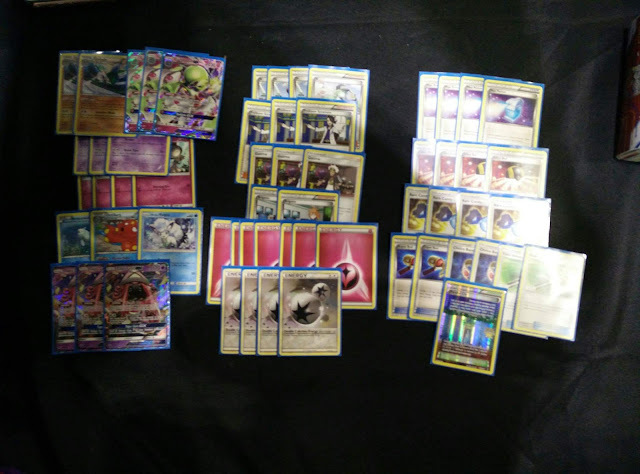 Finishing in 18th place overall, Slutsky posted his decklist, the 4-Max Potion build of Gardevoir-GX created (to much fanfare and Facebook memes) by Sina Ghaziaskar. Slutsky called the deck "actually broken" and "probably in the top 3 most powerful decks I've ever played" (and he's been playing for a while). "Credit to Seena for inventing this," Slutsky added; "dude knew exactly what he was talking about and had he not leaked this deck, it would have 100% won this tournament." Christopher Schemanske is now in Top 8 as the 4th seed with this same list, and will be on stream shortly. Another notable facet of the list is the second Gallade, which allows the list to easily take down Pokemon like Zoroark-GX, Silvally-GX, and Registeel, all of which have been popular this weekend.